When playwright Tennessee Williams decided to pick up where he left off on the play-in-progress he called The Poker Night, it was 1946 and he was comfortably ensconced in New Orleans in a French Quarter apartment overflowing with fine antiques. ﻿It was in 1943 while visiting his family in St. Louis, that Williams began work on a play he called The Gentleman Caller. He became the toast of Broadway in 1945 when the play, retitled The Glass Menagerie, opened to rave reviews and was voted the best play of the year by The New York Drama Critics Circle. During the play's run Williams put together a poker game in order to learn and understand a game that would figure in a story that had begun to form in his mind. A lifelong wayfarer, Williams had spent time in The Big Easy before and found it a most congenial city. When he returned to linger for a while in 1946, he quickly settled into a regular routine. Writing throughout the early part of the day, he would need a breather by afternoon and head for a favorite nearby watering hole. There he indulged in the bar's specialty, a Brandy Alexander, and played the jukebox until it was time to get something to eat and, later, go for a swim. Williams was in the midst of his work on the play when his grandfather, the Rev. Walter Edwin Dakin, arrived in New Orleans for a visit. Widowed, nearing 90 and nearly blind, the beloved old man had been living in some distress at the home of Williams's parents. The playwright decided to take a break from dreary weather and go on a motor trip to Florida with his grandfather. 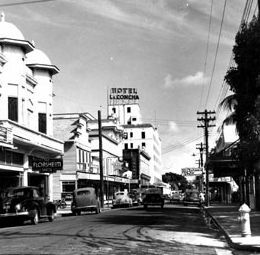 They eventually reached Key West and took a suite at the top of the Hotel La Concha. Here Williams continued to work in earnest on completing his play. Exuberant spirit that he was, he took time to party with friends in the area, Miriam Hopkins and Ernest Hemingway's ex-wife Martha among them. It wasn't until he returned to New Orleans that Williams completed his final draft of The Poker Night and sent it to his literary agent. Irene Mayer Selznick had been a true Hollywood princess. Her father, Louis B. Mayer, was the head of MGM for more than 25 years, and Irene and her older sister Edie were the only children of L.B. and his first wife, Margaret. The girls' lives were incredibly charmed as well as profoundly sheltered. Irene and Edie both married in 1930, their weddings only weeks apart. 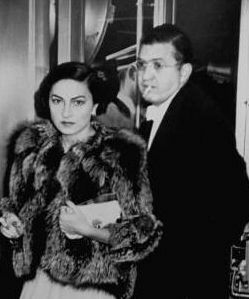 Irene's husband was David O. Selznick, the movie-making wunderkind who later headed his own studio and masterminded the production of Gone With the Wind and the career of Jennifer Jones. L.B. Mayer had famously remarked that Irene could've run MGM...if only she'd been a boy. What Irene did run for many years was the complex Selznick household, the at-home version of Selznick's studio...an opulent, frenetically busy 24-hour operation. Selznick may have lived to make movies, but he also gambled, womanized, popped speed and swilled alcohol at a breakneck pace. By 1945, Irene had had enough. Late one night her husband turned to her in bed and asked why she was still awake - she blurted that the the jig was up and she wanted out...then promptly rolled over and fell asleep. Though she and David Selznick didn't immediately divorce and her father tried to induce her to stay on the West Coast with a high level job at MGM, Irene relocated to New York. She had dreams of becoming a theatrical producer and, on the advice of good friend Moss Hart, rented an office and hired a general manager. Her first outing was the production of an Arthur Laurents play, Heartsong, starring Shirley Booth. The play closed in Philadelphia but evolved over the years (and with another title) into a Broadway hit that still later became David Lean's Summertime (1955) with Katharine Hepburn. Irene's first production may not have made it to Broadway, but she was noticed. Soon after, she heard from literary agent Audrey Wood who told her, "My most cherished and important client has a play I would like to put in your hands. 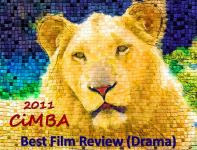 It is his best play yet. His name is Tennessee Williams." Irene received the script on her 40th birthday. 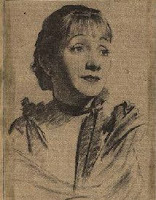 Wood, aware of Irene's inexperience but appreciative of her taste, dedication and connections, cajoled and coaxed and eventually arranged for her to meet Williams in Charleston, South Carolina. The playwright asked the up-and-coming producer if she preferred the play's original title, The Poker Night, or the one he was presently considering. And he asked her about the newer title - did she prefer "called desire" or "named desire"? The encounter had begun with both parties ill-at-ease, but in the end contracts were signed and the pair was set to embark on the original production of A Streetcar Named Desire. Irene returned to New York and Tennessee soon followed. Once he arrived he methodically made his way around to town to check on the latest plays. After he'd seen Arthur Miller's All My Sons, his heart was set on Elia Kazan, the play's director, for Streetcar. Irene was originally familiar with Kazan as an actor, having seen his breakout performance in the 1935 production of Clifford Odets's Waiting for Lefty. Kazan had begun to direct major stage productions in the early 1940s. Irene sent him the Streetcar script and he turned it down. Influenced by his wife, Molly Day Thacher, who had been instrumental in discovering and championing Tennessee Williams, and the lucrative contract he was offered, he reconsidered. Bette Davis was Irene's first choice for the role of Blanche Dubois, the female lead, but she was unavailable. Margaret Sullavan was considered, but Williams didn't think she was right for the part, he "kept picturing her with a tennis racquet in one hand." Fay Bainter's name came up and Kazan apparently mentioned Mary Martin, but it was through Williams that the play's leading lady was found. Actor Hume Cronyn, a financial supporter of Williams in his early days on the scene, had recently produced and directed four one-act plays at The Actor's Lab in Hollywood. Three were by Williams and one of them, Portrait of a Madonna, starred Cronyn's wife, Jessica Tandy. Cronyn arranged to have this play staged for Williams when he, Irene and Kazan were on the West Coast. All three attended and were astonished by Tandy's performance. She was quickly signed to play Blanche. For the primary supporting roles, Karl Malden was the only actor considered for the part of Mitch, and Irene suggested Kim Hunter for the role of Stella. John Garfield was everyone's first choice for the male lead, Stanley Kowalski. The actor had worked steadily on the New York stage before venturing to Hollywood in the late '30s. His screen career began with a star-making turn in Michael Curtiz's Four Daughter's (1938). In 1947 Garfield was about to begin production on Kazan's film adaptation of A Gentleman's Agreement. He would be available afterward and was interested in the play - but his demands proved to be too great. ﻿﻿Next to be offered the role was youthful Burt Lancaster who had just debuted onscreen in Robert Siodmak's The Killers (1946). Though Lancaster didn't take the role, he later told Irene that he'd "yearned" to. Other actors considered for the part included Van Heflin, Edmund O'Brien and...Gregory Peck. ﻿23-year old Marlon Brando had been a busy young actor since his first major stage role in I Remember Mama. He appeared in Antigone with Cedric Hardwicke, gained notice in Maxwell Anderson's Truckline Café, co-starred in a revival of Candida with Katharine Cornell and appeared in Ben Hecht's A Flag is Born with Paul Muni. In 1946 he was voted Broadway's Most Promising Newcomer. According to Brando, Harold Clurman, who directed him in Truckline Café, suggested him to Kazan for Streetcar. But neither Kazan nor Irene were completely convinced and the final decision was left to the playwright. After spending time with Brando, Williams was ebullient and the actor was hired; he was the last of the principals to be cast. Williams later compared the "luminous power" of Brando's onstage charisma to that of Laurette Taylor who had dazzled as the star of The Glass Menagerie. When the play opened in New Haven, Louis B. Mayer was there. Irene hadn't wanted to be distracted by his presence and tried to discourage him - to no avail. Despite technical difficulties, the consensus was that Streetcar had played well. But Irene was disappointed at the lack of excitement expressed by the group gathered in her hotel room after the show. She recalled that there was "too much respect floating around and not enough enthusiasm." Then her father asked to speak with her privately. He told her "you don't have a hit, you've got a smash...you wait and see," then he told her to go back to her guests - but not to listen to them. 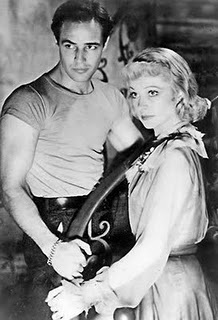 A Streetcar Named Desire premiered on Broadway at the Ethel Barrymore Theatre on December 3, 1947 and was an instant sensation, receiving a standing ovation that lasted for half an hour. 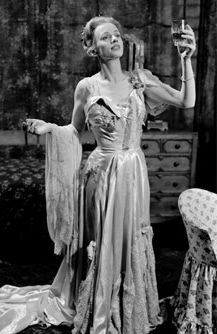 Jessica Tandy, who was universally singled out in the opening night reviews, won a Tony Award, the play was voted the best play of 1948 by the New York Drama Critics Circle and Tennessee Williams won the 1948 Pulitzer Prize for Drama. Streetcar ran for two years and 855 performances and it was the last play of Marlon Brando's theatrical career. The actor soon left for Hollywood, enormous fame and a long, erratic, if often brilliant, film career. In 1949 Laurence Olivier directed Streetcar on London's West End. Vivien Leigh starred as Blanche with Bonar Colleano as Stanley. 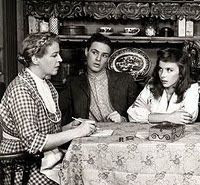 When the play was adapted to film in 1951, all the Broadway principals were retained except Jessica Tandy. The role of Blanche went to Vivien Leigh. Years later Karl Malden observed, "If Jessica had played it, I wouldn't have been in the movie and neither would Kim Hunter. Because Jessica was no star, and neither was Brando. But Vivien, who after Gone With the Wind was the biggest thing you ever saw - she could carry us all." Kazan, who accepted the casting of Leigh, remembered, "She had a small talent, but the greatest determination to excel of any actress I've known." 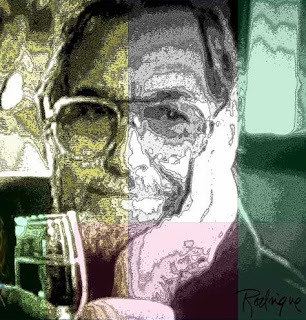 Brando thought Leigh was a perfect Blanche because, "...in many ways she was Blanche." Kazan allowed that her emerging psychological problems may have been an asset to her performance as the disintegrating belle, and Leigh later said that the grueling role had tipped her into madness. Elements of the play, particularly the seamy details of Blanche's past, were toned down or altered for the film, but Kazan was able to preserve the integrity of Williams's creation, masterfully translating its dark poetry and palpable sensuality to the screen. Streetcar was much celebrated, nominated for twelve Academy Awards and winner of four - including a Best Actress award to Vivien Leigh. It is considered the classic among film adaptations of Williams's work. More than 35 years later Irene Mayer Selznick would look back and reflect on that spectacular evening when A Streetcar Named Desire opened in New York. For all that the play's success meant to her that night, she did not foresee the impact it was about to have. With her first Broadway production, she became an established, sought-after theatrical producer. The play, she remembered, made Elia Kazan "a king" and changed forever the lives of all four of its principal players. Most fittingly, she wrote, "it gave Tennessee enduring glory." 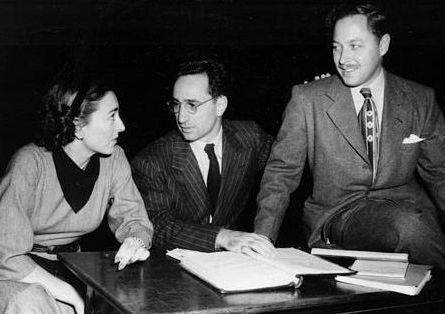 March 26, 2011 marked the 100th anniversary of the birth of Tennessee Williams. The University of Texas at Austin, home of the Williams archive, is presenting "Becoming Tennessee Williams" from February 1 - July 21. The exhibit includes manuscripts, correspondence, photos and artwork. Click here to learn more. An excellent write-up on the creation and development of a true classic. I would have loved to have seen the original theatrical production. I believe I remember reading that Kazan actually preffered the movie version of "Streetcar" to the stage version. Have you read anything similar to that? Actually, Richard Schickel's bio of Kazan quotes the director as saying he was pleased with the film but liked the stage production a bit more. I think he thought it was more powerful on the stage, engaging and challenging the audience more. Brando, on the other hand, apparently preferred the film. I would like to have seen the play in its original form - and, of course, Jessica Tandy's interpretation of Blanche. Okay, I guess I was thinking of Brando's remarks re the two productions (I probably read it in his autobiography). I would imagine Jessica Tandy's Blanche would be quite different from Vivien Leigh's. I thoroughly enjoyed reading this. A couple of months ago, I wrote an in-depth analysis of the censorship efforts surrounding the film version of Streetcar, and in researching for that piece, I remember being impressed by Irene Selznick's dedication to the play and her fervent belief in Williams' talent. Very well-done, in-depth article, Eve. Certainly, STREETCAR and GLASS MENAGERIE are Williams' pivot works. However--realizing I'm in the minority--my favorite film versions of his plays are CAT ON A HOT TIN ROOF and NIGHT OF THE IGUANA (with a brilliant Deborah Kerr performance). Not sure I could imagine Bette as Blanche! Motorcyle Boy - One of my favorite film adaptations of a Williams play is John Huston's "The Night of the Iguana" (Richard Burton, Deborah Kerr, Ava Gardner). I knew that Bette Davis originated the Gardner role on Broadway (1961) but what I didn't know was that Katharine Hepburn came very close to taking the Kerr role in the original stage production. That would've been something to see! Brandie - I'd be interested to read your analysis of the censorship of "Streetcar" - is it on your blog? Thanks for including the link to the Columbus, MS tributes. You reminded me that New Orleans hosts an annual Tennessee Williams/New Orleans Literary Festival. This year, the 25th annual festival, ran from Mar. 23 - 27. The festival website has info about the event, including next year's dates, activities: www.tenneseewilliams.net. Rick - "Cat on a Hot Tin Roof" is a wonderful adaptation (and, as mentioned, I agree 100% on "Iguana"). Brando believed that Williams was at his pinnacle with "Streetcar" and 'went in circles' after. Others would no doubt disagree. "The Rose Tattoo" won a Tony for Best Play in 1951 and the 1955 film version won 3 Oscars. Williams won his second Pulitzer Prize for Drama in 1955 for "Cat on a Hot Tin Roof" and the film version was nominated for 6 Oscars. "The Night of the Iguana" was nominated for a Best Play Tony and the film adaptation was nominated for 4 Oscars and won 1. Impressive. But, as far as "Streetcar" is concerned, I think it was Williams's great masterpiece. If "The Glass Menagerie" indicated his potential, "Streetcar" revealed the grandeur and power of his talent. His best later works were further proof of his genius. "The Night Of The Iguana" is definitely one of the very finest film versions of William's work. Of course, "Streetcar" was incredibly moving and had the additional impact of the iconic performance delivered by Brando, which basically changed screen acting thereafter. Brandie - Excellent and insightful analysis. In his bio on Kazan, Richard Schickel gives credit for the effective communication of that which is subtly or ambiguously depicted in the movie to Kazan's shrewd direction. And he observes that Kazan was able to emulate the mood of the play's claustrophobic stage set with the heavy use of tight close-ups. He also notes that Karl Malden thought that the movie reclaimed the story for Blanche, that the movie presented "Tennessee's Blanche" more than the play. Malden said that Kazan could better control the dynamics between Brando and Leigh because "he could cut it the way he wanted to..."
Peck would have been a disaster as the slobbering Stanley, I just cannot image him yelling out “Stella!” Garfield would have been an interestinc choice. The problem is everyone is now compared to Brando’s performance and all seem to pale in comparison. It is one of the great performances of all time though I do favor Brando’s work in ON THE WATERFRONT a bit more. I would have loved to have seen Jessica Tandy’s as Blanche. What great research and a truly interesting article! Great work, Eve. What it took to get the play mounted and the film made are fascinating to study, in particular the censorship issues and this film's importance in pushing the censorship office. I showed this as part of a class on the production code, and the film retains its power, especially when seen on the big screen. It's almost exhausting; most dramas today don't dig this deeply into characters and refuse to maintain this type of intensity for two hours. And, as you and I briefly discussed before, Irene Mayer Selznick was quite a woman. Would you be interested in a conversation about her for an upcoming blog post? John - Richard Schickel's viewpoint on Garfield in the role is insightful. I'd always thought him the best option after Brando, now I'm not so sure. Lancaster would've been interesting but as you say, once we've seen Brando, all others pale. I doubt the film version would be considered quite the classic it is without him. Filmboy - How true, watching "Streetcar" can be emotionally draining. On the subject of characters, an astute comment by Williams's grandfather (Rev. Dakin) on his grandson's work: "All of his plays have a poetic foundation and he is more interested in developing his characters than he is in the stories." Such poetry - and what characters he developed! I'd be very interested in a conversation about the fascinating Irene Mayer Selznick for a blog post. Kendra - I don't know what Brando thought of Leigh's talent but, in addition to preferring the screen version of "Streetcar," he preferred her Blanche. Kazan had difficulty directing her early on - she had a habit of referring to Olivier's West End direction. That production was much disliked by Tennessee Williams (ignoring the contract, Olivier cut the script without consulting Williams) who considered Olivier unsympathetic to the play...However, Kazan and Leigh eventually worked well together and he came to admire her. great background story..was not looking forward to "TENNESSEE", but you framed a well done story!! thanx eve!! Thanks, doc - As I read Irene Mayer Selznick's autobiography, I realized that the impact of "A Streetcar Named Desire" was even greater than I knew and that inspired me to explore further. This post could easily have been several times longer than it is, but I think (hope) I managed to sketch out the basics. The comments have fleshed out the story a bit more (the film's challenge to Hollywood's production code, Brando's powerful and lasting impact on acting). Eve, I'm late in reading your article -- your incredible article! I love Tennessee Williams, his personal life, his plays -- Streetcar being my favorite, with Glass Menagerie close behind. I guess my third would be the original version of Summer and Smoke, first entitled Eccentricities of a Nightingale. I so wish I could have seen Jessica Tandy as Blanche. But I cannot imagine her being that much better than Leigh. Why on earth would Kazan describe Leigh's talent as small? She was mesmerizing in Streetcar. I had to laugh though at the idea of Bette Davis as the ethereal, lost Blanche. No way! I think John Garfield would have made a good Stanley, but Garfield had a built-in sorrowful decency that would not have lent itself to the part. You presented so much fascinating information about Irene Mayer and her journey in the world of theatre, as well as the evolution of Streetcar. I have always thought that, as good as Brando was, Vivien Leigh outshined everyone in the movie. Maybe it's because I love the subject so much, Eve, but I think this is one of the best articles you have ever done! Thanks, Becky, this post was definitely a labor of love. As I understand it, Williams conceived Streetcar with Blanche as the sole central character but Brando’s powerful performance had the effect of elevating Stanley’s role. I mentioned in an earlier comment that Kazan attempted to return the story to Blanche in the movie through the way he cut it. I’ve always found it interesting that the two actresses famed for their portrayals of Blanche Dubois were British. Tandy is not as well-known as Leigh, so here is a bit more about her…she went on the London stage in her teens and during her British theatrical career performed with the likes of Olivier and Gielgud (her first husband was Jack Hawkins). She appeared in British films before coming to the U.S. Her Tony Award for Streetcar was one of three she won (plus a lifetime achievement award); she also won a Best Actress Emmy (1988) and Oscar (1989). Re Brando having the effect of elevating Stanley's role - I read that in the early days of the stage production, Williams was quite concerned because Brando's chrasima was such that the audience's attention couldn't help but be drawn to everything he was doing on stage(sometimes at the expence of the other actors). It seemed to him that the audience would start to take the side of Stanley (which horrified him) when it was William's intention for them to empathize with Blanche. I wish I could recall which book I read this in - I hate to just throw something out there without stating the source - nevertheless, I guess I will. Of course, the play became such a huge sensation that it began to live it's own life in people's imagination. In the Kazan bio, Schickel writes that Kazan worried that the play would become “the Marlon Brando show.” This was during rehearsals and Kazan noticed that visitors were completely mesmerized by Brando. Williams believed that Tandy would “come up” by the time the play opened, and she did. When the play opened it was Tandy who initially got the rave reviews, and it was she who won a Tony. Williams didn’t see Blanche entirely as a victim and when he talked about Tandy holding her own with Brando, he meant that she would assert the irritating, overbearing aspects of Blanche’s character and that the audience would be less sympathetic to her. It's true Brando could be a unpredictable and that at times during the run of the play he drove his co-stars to distraction. I know that Jack Palance replaced Brando in "Streetcar" after M.B. was hospitalized for a broken nose he got while boxing a stagehand. I can imagine the brutish element Palance would have brought to Stanley - it would have been interesting to see the vulnerable side he could have expressed along with that. Of course, the actor that I can best imagine filling Brando's shoes in "Streetcar" would have been the Mickey Rourke of the mid 80's (pre-facial reconstruction). It's hard, though, to think of another great role in a classic play that is SO dominated in people's minds by an actor as in the case of Brando's Stanley Kowalski. It could be a fun game, in some other setting, for people to throw out their favorite candidates, past or present, for actors who might take the role out of Brando's shadow . . . not an easy task. I thought Vivien Leigh was superb as Blance and was a great choice for the screen version. Eve, you have written another excellent post on the many great talents involved in bringing a classic film to life. I can only imagine how many elements and influences went into Tennessee William’s creative process before brining his vision to the stage. I have recently been reading a bit on David O. and Irene Selznick, but this did not include Irene’s career as a producer. I would love to have been in the audience; Jessica Tandy’s ethereal delicacy would have added such a contradiction to Blanche’s character and Marlon Brando on stage was a once in a lifetime experience. Thank you for your creativity and hard work; you have woven the different threads of the story into a fascinating narrative. Guess what film has moved to the top of my list? thank for this insightful, beautifully elegiac piece. what a wonderful blog; i have bookmarked it, and i am sure that i will spend many fulfilling hours here. thank you again; the kindness represented by your sharing of this extraordinary vision is profound in the extreme. many of Streetcar's metaphors, allegories and effigies (egoism, sympathy, victimisation and joy) are examined in my writing, although i leave - of course - the cinematic genre to experts alike yourself. Good to hear from you Thelonius. I visit your blog from time to time to see what creative mischief you're up to. Thanks for including a link!